Home World Gen World Gen - Mobs Vampirism - Become a vampire! Vampirism – Become a vampire! Vampirism – Become a vampire! 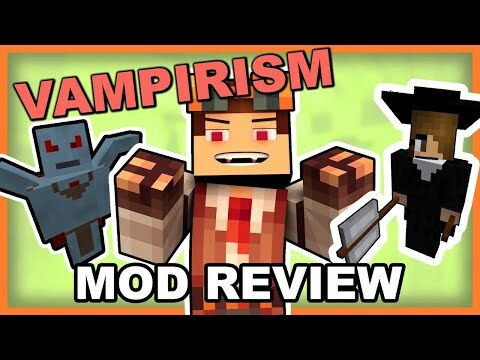 Mod 1.13/1.12.2/1.11.2 – Vampires are fast, strong and blood-thirsty entities, which do not like the sun, but don’t fear the night, and the best thing is: You can become one! This is a simple tutorial that will helps you to install Vampirism – Become a vampire! Mod for Minecraft 1.13, 1.12.2 and others version successfully! Download the Vampirism – Become a vampire! Mod below or from anywhere, make sure the mod is compatible with the version of Forge installed. Place Vampirism – Become a vampire! into your Mods folder. If you don’t have one, create it now. Vampirism – Become a vampire! is created by maxanier, the mod was created on Jul 22, 2015 and the last update took place on Dec 6, 2018, so far is a total of 965,394 downloads. If you are interested in more information about Vampirism – Become a vampire! Mod, please go to CurseForge[link]. The Vampirism – Become a vampire! Mod download links from below are available for Minecraft's most popular versions so far, for others version (likes as 1.12.1 / 1.11.1 / 1.10.1 / 1.9.2 / 1.8.8 / 1.8.4 / 1.7.2 / 1.6.4 / 1.6.2 / 1.5.2 / 1.4.7) please visit the official website above! We do not host any Vampirism – Become a vampire! files on our website. We do not modify or edit the Vampirism – Become a vampire! in any way. If you have any problem with Vampirism – Become a vampire! Mod, please leave a comment below and we will help you as soon we can.